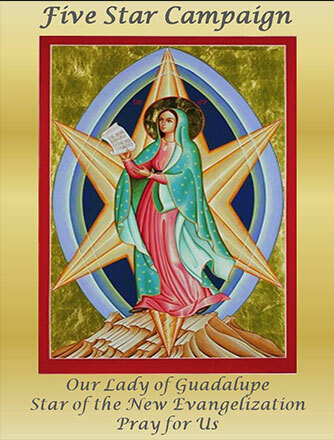 Welcome to the webpage of the Denver, Our Lady of the Blessed Sacrament, Chapter. These are exciting times that we live in and Magnificat was begun in 1981 for such a time as this. There are now over 100 chapters throughout the United States and its territories and in many foreign countries. Angeline has been teaching for over 50 years: to high school students, at the Denver Catholic Biblical School, at the University of Dallas and at parishes and groups around the Archdiocese of Denver. For her, teaching isn’t a profession; it’s a response to a call. Come hear her as she shares some reflections on her call to proclaim the Word and how teaching scripture has influenced her spiritual journey. Angeline’s testimony will be a chance to explore how God’s call to each of us has influenced our own spiritual journey. Please print off and use this form for Mail In Reservations. Remember our chapter’s commitment to Eucharistic Adoration and to pray the Rosary on the 4th of each month for the intentions of our Magnificat sisters around the world. 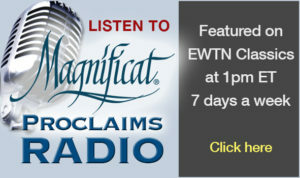 Our story begins when our founder, Mary Lou Alexander Bruch, heard a member of Magnificat being interviewed on Catholic Radio in April of 2010. She was very impressed by the woman who gave her testimony on how God was working in her life. Mary Lou decided the women in Colorado needed Magnificat and wanted to form a chapter in the Denver area. 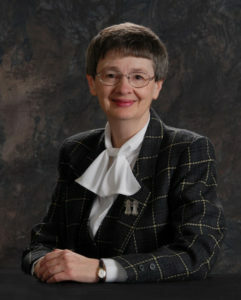 Mary Lou contacted Magnificat Ministries in New Orleans, LA and learned how to begin the process of forming a chapter. Kathy MacInnis invited Mary Lou to attend the international conference in New Orleans in order to experience fully what the ministry and its women are all about. Mary Lou returned home and excitedly shared her vision of a chapter with friends. Eventually, eight women were convinced to join her and start a Denver chapter. Mary Lou declared that God put all the right women in her life at just the right time.